WordPress is a free software package used to create web sites. Originally developed as a blogging platform, WordPress has now grown to become a powerful, fully fledged CMS in its own right. The software is so easy to use and robust that it has become extremely popular with web developers, small business owners and any individual looking to create their own personal web site. With WordPress there really are no limits to what you can build! 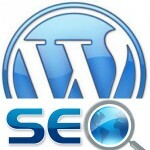 Once you have built your site using WordPress your focus will shift to how attract more visitors. For most people this will be primarily through the Google search engine. WordPress out of the box is already technically quite a good platform for Search Engine Optimisation (SEO) however there is always room for improvement. The following guide will provide an overview of YOAST, one of the most popular SEO plugins for WordPress. 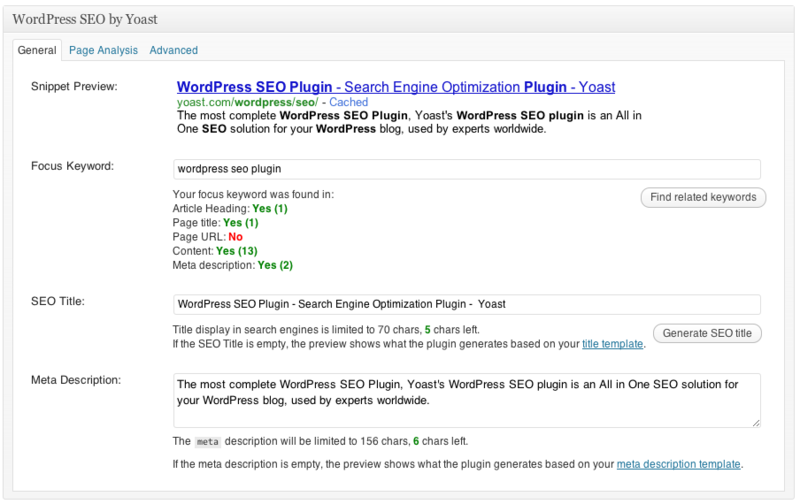 Yoast is considered to be one of the most WordPress SEO plugins for WordPress. If there was only one plugin that you would install from this list it would be YOAST. YOAST controls many of the important areas of web site SEO management including indexation, crawling, accessibility and site structure. Other plugins may cover some of these areas, but not all of them. YOAST does this all within a very easy to use interface allowing you to control all the important SEO requirements on per page or post level. The snippet preview allows you to see a preview of what your page or post will look like in the search results, allowing to confirm the length of your title and meta description tags. This modules works directly within the post or page that you are working on and reviews various aspects of on-page SEO such as keyword type, keyword density, alt tags for images, headings and sub headings, post length, meta description and much more. It provides a very powerful overview of how an individual post or page will appear to a search engine allowing you to make any corrections before publishing takes place. YOAST has a number of controls for how your WordPress posts, pages, archives, categories and tags will be indexed. By default, it will tell search engines to index all of your pages, including category and tag archives, however you can disable this and fine tune the level of indexing as required. 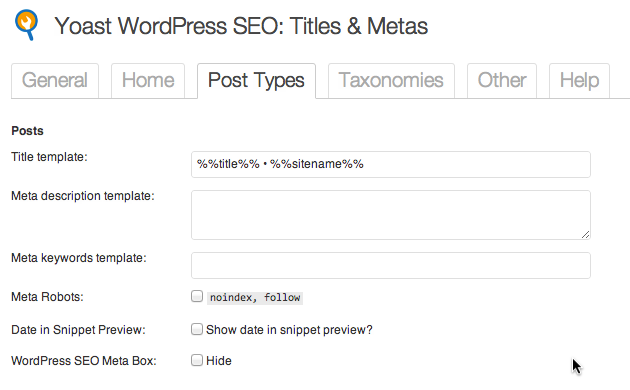 A sitemap is a file that lists all the posts and pages in your WordPress site. It allows you to include more information about each URL such as when it was last updated, how often it changes and it’s relationship to other pages/posts within the site. All of this allows Google to index your pages with more accuracy. YOAST has a very advanced XML sitemap generator allowing you to create sitemaps that will index all your posts, pages, images and along with any custom post types and custom taxonomies that you may have configured. 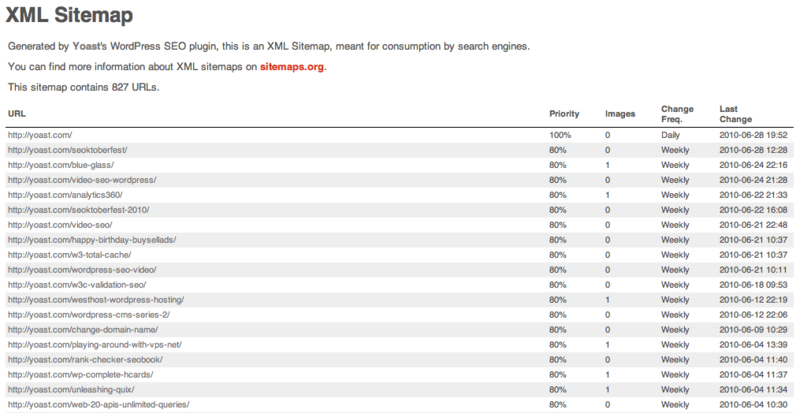 Once you check the box, it automatically creates XML sitemaps and notifies Google & Bing of the sitemaps existence. 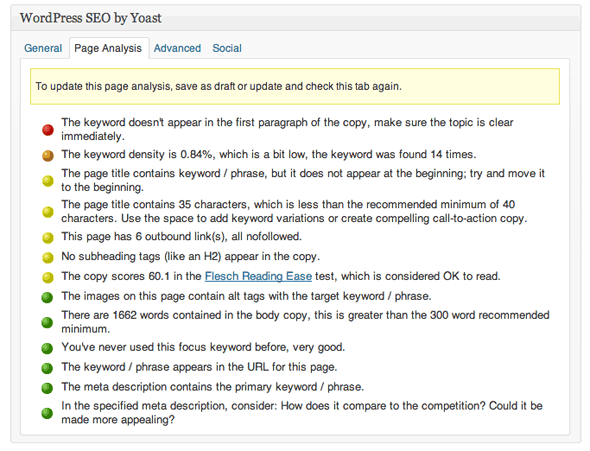 YOAST is a powerful plugin for optimising SEO techniques on the posts and pages within your WordPress site. There are quite a number of options to configure so it can be a confusing tool to use at first. We would recommend that you review all the documentation provided within YOAST to ensure that you have everything configured correctly.